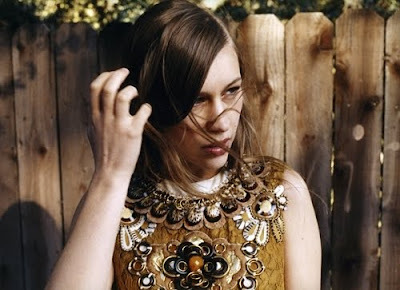 Joanna Newsom's new album ("Have One on Me") was released yesterday. She is such a unique artist, and while I have to be in the right sort of mood to listen to her, I think she is positively brilliant. Her music always manages to move me, and I find her a breath of fresh air in the music world. I listened to her new album all evening yesterday and I really love it, especially the 3rd disc (yes, it's a tripple CD, crazy! ).